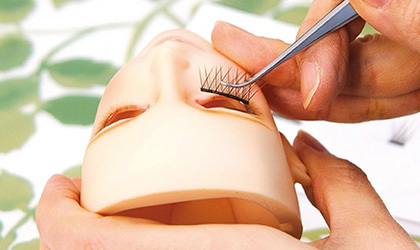 Beauty Salon | Dolls Party in LA 4 2019 | VOLKS USA, Inc.
Would you like to have your Super Dollfie® refreshed by the hands of our professional doctor? 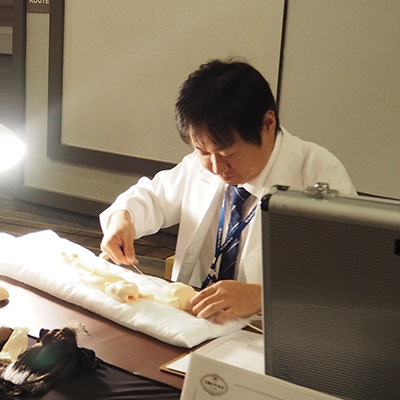 Our specialized Dollfie® Doctors regularly meet guests at the workshop in the "Tenshi-no-Sato" in Kyoto for consultations and provide Satogaeri Services to beloved SD at the Super Dollfie® Beauty Salon. 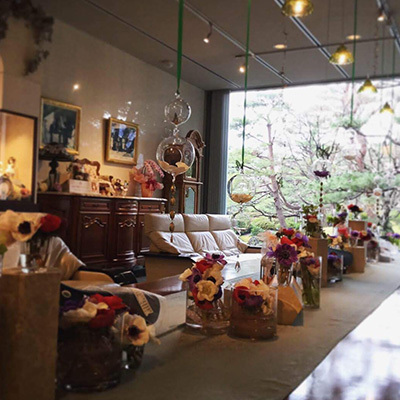 We have brought this Beauty Salon from Kyoto as a special service workshop at Dolpa in LA. Please make sure to read the detailed information for each service prior to application. We may not be able to see everyone if we have too many appointments. Thank you for your understanding in advance. At the Beauty Salon booth, two services are available for your Super Dollfie®. You can apply for both services at the booth on the day of the event. Doctors would like to see as many SDs as possible within a specified time limit. Please read the information below carefully and prepare in advance. Thank you very much for your cooperation. Application forms are available to print out prior to the event. Some information may be confusing, so please feel free to ask us questions. You can download the forms from this website. If you are bringing multiple SDs, please fill out separate forms for each SD. Please take a numbered ticket and be seated. The doctor will request the completed form. Please make sure to show up on time with your SD. Prices are available on detailed pages. Services at the Beauty Salon are only available for Super Dollfie®. Any services relating to SD head parts require the SD Head Plates to be attached. We do not accept any requests to reissue the head plates. Please make sure to be seated prior to your appointment. If the person does not show when called, their spot will be canceled. We do not accept any change requests and/or exchange of the order. Doctor will see your SD in the order of arrival. Please note that they may not be able to see everyone if receive a large number of applications. Some services may require more than one day for completion. Please be aware of the service times prior to application. Please remove all accessories (such as wig, outfit, and eyes) and the SD parts unrelated to the service prior to the appointment. We cannot take any responsibility for lost and damaged of accessories, makeup, and body parts that have been customized by you or others. Changes and cancelation requests after payment will not accepted. Doctors may not be able to accept some service requests depending on situations, such as lack of required documents, counterfeit items, unproper or exceeded customizations, etc. If the doll and/or body parts that were turned in are found to "not be made by VOLKS"; we will return the doll and/or body parts to the owner. We will refund the service charges excluding shipping and handling fees. The contents of Super Dollfie® Beauty Salon (such as service, price, and schedule) are subject to change without notice, please check back frequently for the latest information. Tenshi-no-Sato Kachu-an is located in Saga-Arashiyama, Kyoto (VOLKS' place of operation) is the birth place of the Super Dollfie®. Since it was first established in Spring of 2004, countless fortunate SDs have met their owners by forming a precious bond. 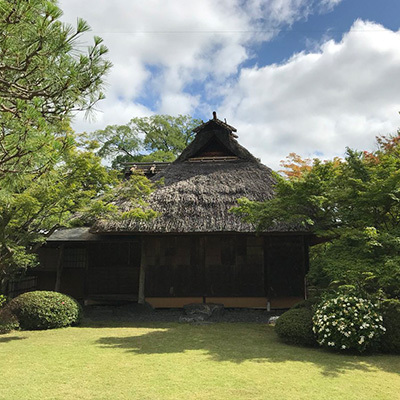 There are Japanese Garden and Historical Architecture on the approximately 106,750 ft2 (3000 Tsubo) site, and you can enjoy the beautiful sceneries of four seasons in Kyoto with your Super Dollfie®. Within the facility, there is the Super Dollfie® Museum that exhibits the world's biggest SD collection. Tenshi SDs exclusive to Tenshi-no-Sato and and Coordinate Models, are always there waiting for you. This museum is perfect for enjoying the world of Super Dollfie®. Dollfie® Doctors are VOLKS professionals who specialize in the maintenance and care of Super Dollfie®. Their office called "Kōbō (means workshop or studio)" is located within Tenshi-no-Sato. Their mission is to help owners better understand their Dollfie® and bring a happy Dollfie® Life for Super Dollfie® through their services. They conduct consultations and provides Satogaeri Services for Super Dollfie® from all over the world. Tenshi-no-Sato welcomes Super Dollfie® fans from overseas. Please visit and create unforgettable memories alongside your beloved Super Dollfie®. Please check their opening schedule and make a reservation for your visit through their website. *Please read the service details for the Satogaeri Service and Trade Exchange Service before submitting your application.